Background Checks and Workplace Investigations: Does FACTA Trump FCRA? Another great article from Janette Levey Frisch, author of The Emplawyerologist. 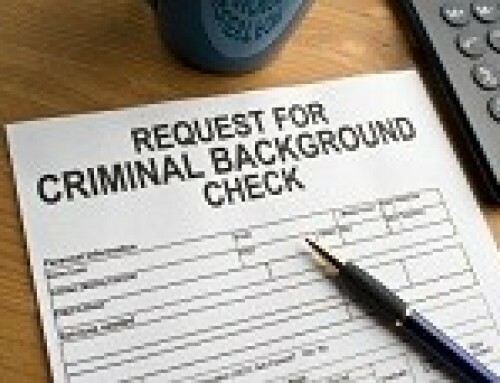 This Spring, I posted several times on the subject of criminal background checks in the hiring process. Specifically, I posted here about criminal background checks and the Fair Credit Reporting Act (FCRA). We know that employers and Consumer Reporting Agencies (CRA’s) who do not comply with the FCRA could find themselves in trouble with the Consumer Financial Protection Board (CFPB) or defending a class action lawsuit. There is a law that may provide some help for employers running background checks as part of an investigation though. It is called the Fair and Accurate Credit Transactions Act (FACTA) — and I would like here and now to issue numerous apologies for not covering it last Spring when I first wrote about the topic. Well, since I cannot turn back the clock, let’s move forward and talk about FACTA after the jump! FACTA was enacted in 2003, largely in response to a Federal Trade Commission (FTC) the Vail Opinion Letter, available here, which stated that the FCRA governs workplace misconduct investigations conducted by third parties (e.g. private investigators). FACTA specifically nullifies the Vail letter and excludes misconduct investigations from the FCRA’s more stringent provisions, particularly the requirement to obtain the accused’s consent prior to investigating. What are the key provisions of FACTA, what do they do, what do they mean for employers and, have there been any significant court cases since its enactment that can provide guidance as to how and when it applies? Let’s see if we can tackle those questions! FACTA’s definition of “consumer reports” excludes from FCRA requirements misconduct investigation reports and any reports used for “investigation” into “compliance with Federal, State or local laws and regulations, the rules of self-regulatory organization, or any preexisting written policies of the employer”, as long as the employer/investigator does not order the reports to investigate the employee’s creditworthiness, credit standing, or credit capacity. So, basically, if you are ordering a credit or criminal background check as part of an investigation you do not have to a) notify the employee or get his or her consent beforehand; b) give him/her a copy of the report or c) wait a “reasonable” amount of time between giving him/her the copy of the report and taking the adverse action. If you do take adverse action against the employee you need only provide a summary of the “nature and substance” of the report, but may not exclude “the sources of information acquired solely for use in preparing” the report, such as witnesses. What exactly is an “investigation”? Which preexisting written policies may form the basis for such an “investigation”? What if any limits apply here? What form must disclosure of the “nature and substance” of a report take? Must it be written? Can disclosure be oral? By when must an employer disclose to an employee the “nature and substance” of a report forming the basis of an adverse action? While FACTA restricts circulation of reports to “the employer or agent of the employer” who qualifies as an “agent of the employer”? While very little case law in this area exists, there are a few cases that provide some clarification. Two federal district courts have weighed in on what constitutes an “investigation” and the extent to which the exemption applies. Millard v Miller 2005 WL 1899475 (W.D. Wis. Aug. 9, 2005) arose out of plaintiff’s termination after sustaining a workplace injury. During litigation of the workers’ compensation claim, plaintiff obtained postponement of a scheduled independent medical examination, because, she said, she would be going to visit relatives on day of the scheduled exam. Her employer did not believe her, and got a copy of her credit report, in order to subpoena records of her credit card use to show if she was shopping instead of visiting relatives as she claimed. (Just an aside— I can see an argument being made that the two are not mutually exclusive. Couldn’t she be shopping with the relatives she was visiting? Details, details!) Anyway, the employer shared the report with its workers’ compensation carrier and the plaintiff claimed that the failure to provide her with a disclosure and obtain her consent prior to requesting the report violated the FCRA. Is this an “investigation” under FACTA? The court here said “Yes”. Wait a minute. The employer admitted it got the report to get information about her off-duty conduct in a workers’ compensation case. The court did not find that a problem, because it held that “misconduct relating to employment” should be interpreted broadly, and that Congress chose to use the phrase “relating to” to include more than matters strictly related to workplace activity or conduct. Use of the report in a workers’ compensation hearing, which necessarily involves an employment injury was therefore obtained to investigate “misconduct relating to employment”, said the Court. The court also found the workers’ compensation carrier to be the employer’s “agent”, and that it was therefore permissible to share the report with the workers’ compensation carrier. Note that this ruling does not require an employer to prove actual misconduct by the employee or that it was using the best available method in order to obtain the report and be exempt from the FCRA. 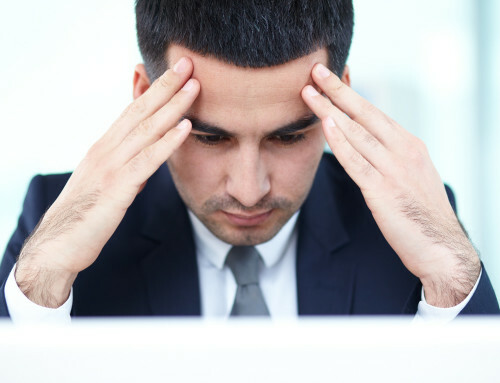 A genuine belief that the employee committed misconduct was sufficient. Caveat: this case is a federal trial court case coming out of Wisconsin. It therefore is not binding on other courts. Given the relative lack of cases deciding theses issue however, other courts will likely consider it “persuasive” and rely on it anyway if/when they need to decide this issue. The federal District Court in Minnesota decided this issue in a slightly different context last year. In Martin v. First Advantage Background Services Corp, 877 F.Supp.2d 754 (D.Minn. July 13, 2012) the plaintiff had previously worked for and later been re-employed by his employer in its home mortgage department. The employer ran a background check three months after his re-hire. The background check revealed negative items, not present on his background checks done during his prior employment, and the company terminated him. The employee said that the items on the report were not true and provided documentation to refute the report. When the employer refused to rescind the termination, the employee sued and alleged FCRA violations. The employer argued that the background check was part of an investigation that looked into the employee’s compliance with federal laws and regulations concerning those working for financial institutions, and also to ascertain his compliance with employee handbook policies requiring that those who do not meet background screening requirements or those of the Financial Institutions Reform, Recovery and Enforcement Act cannot be employed or continue employment. The employee argued that FACTA only applies to investigations of employee misconduct already suspected by the employer. The court disagreed and said that FACTA’s plain language clearly exempted the report from the FCRA, as long as the employer really ordered the report for the purposes it claimed. According to the federal district court in Oklahoma, an employer can order a background report as part of an investigation even when its motives may be less than pure. In Pearce v. Maxillofacial Associates, LLC, 2010 US Dist LEXIS 133430 (W.D. Okla.Dec. 16, 2010) an employer was allowed to order a background check on an employee claiming sexual harassment, even though it may have been doing so in an attempt to intimidate her. Whaaat? How did the employer get away with that? The court reasoned that since the employer ordered the report to investigate the plaintiff’s allegations of misconduct it fell within the exemption and that alleged ulterior motives for ordering the report did not affect the applicability of the exemption. Whether this ruling would hold up on appeal is another question. While it is “out there” I personally would not advise employers to rely on it too heavily. So, now what? Does FACTA now mean that employers need not worry about FCRA requirements? Not so fast! The above cases are just a few trial court decisions that are not binding on appellate courts, or even other state courts. 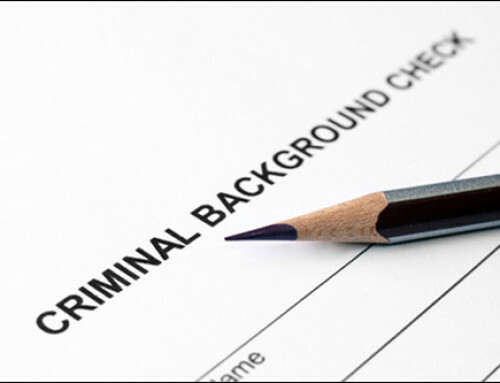 Moreover, credit and background checks performed as part of routine pre-employment screening, are likely still subject to FCRA, so, as a general rule, you should still assume you need to comply with the FCRA. Join us next week when we begin tackling a new topic — misclassification of workers. See you then! Disclaimer: Contents of this post are for informational purposes only, are not legal advice and do not create an attorney-client relationship. Always consult with competent local employment counsel on any issues discussed here.